Indexed file guides offer 12 divisions for monthly indexing so you can break folders into small groups for quicker identification. Offer 1/3 cut self-tab center position tabs. 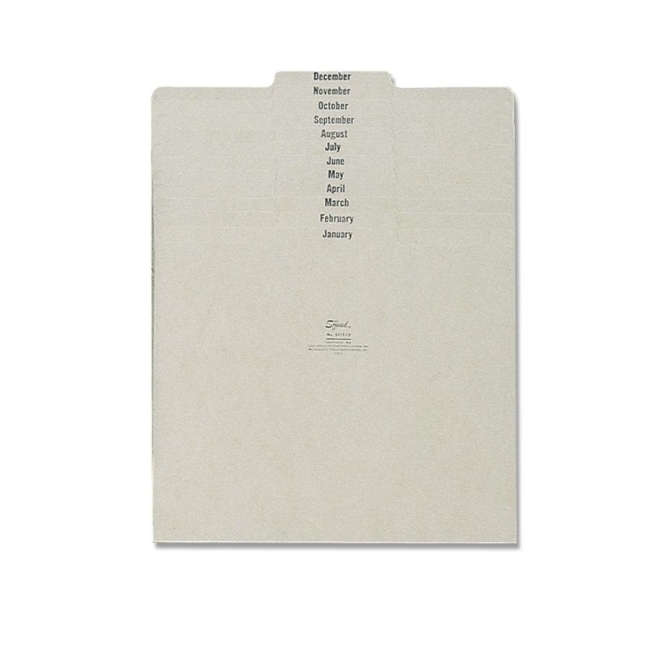 Ideal for sorting files or paperwork chronologically with sturdy guides to create a follow-up file or to organize materials that need action at a particular time.